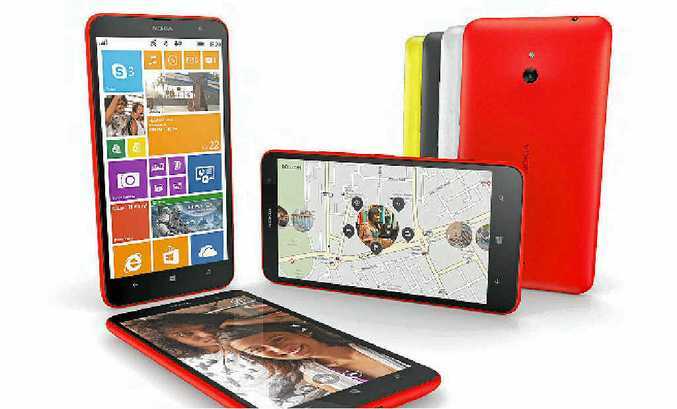 SLICK DEVICE: Nokia’s Lumia 1320. 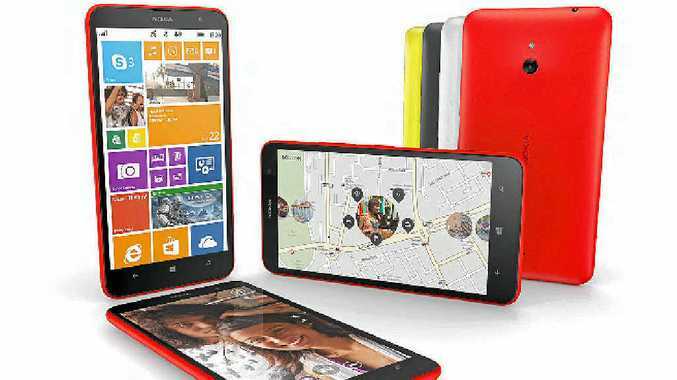 But when you're playing a game or watching a YouTube clip on Nokia's Lumia 1320 Windows 8 phone, you'll certainly think so. The super affordable 'phablet' is something between a small smart phone that you can slip into your pocket and a tablet. The six-inch dual core device, which sells for $449, can slip into your pocket - but probably not if you are wearing skin-tight jeans. Like some of its Nokia counterparts, it's a slippery sucker because of its well-rounded features, which make it pleasant to hold, but easy to drop. The phone features a 720p HD screen rather than the high-res 1080p HD display you see on higher-end phones. You might notice the difference on games and high-end videos, perhaps, but not much else. We test drove it using several high speed car racing games and found it to be a very good ride both in terms of speed of processor and graphics. For those not accustomed to Windows phones, the interface is surprisingly user-friendly. I certainly found it an easier transition from my iPhone, for example, than I did to a recent Samsung device. The menu features resizable dynamic live tiles to showcase things like internet, phone, video, games, Microsoft Office and Bing music apps. The phone only features a five megapixel camera but we found its image quality, thanks to decent auto-focus, was adequate though certainly not as good as that in the latest Samsung or iPhone. The 1080 HD video was great, however, especially when shooting outdoors. A big downside is the lack of great third party photo and video apps for the phone, though the ones available through Nokia are reasonable. Nokia Camera brings together the features from Nokia Pro Cam and Nokia Smart Cam modes into one application. Nokia Storyteller organises your photos into stories on an interactive Here map by time and place. Cinemagraphs and smart photos play automatically. You can see points of interest around the photos taken and pull up contact info, call or email directly from Storyteller. When it comes to storage, the 8GB is a little light on for photos and video but there is 7GB of free SkyDrive storage and additional microSD card that takes up to 64GB in external storage. The battery has plenty of grunt with it being rated for 25 hours of talk time and almost a month of standby time. Overall, if you are looking for a larger Windows phone, it offers pretty good value for money. Productivity software: calculator, clock, calendar, alarm clock, reminders, phonebook, to-do list, family room, kid's corner, OneNote, social networks in phonebook, wallet.